Weight gainers and lots of real food are the secret of quick mass creation. Without them, bulking in the right way would be really hard. There is hardly a season for weight gainers. Everyone starts taking them when they realize that they could not gain weight and size naturally. Weight gainers come in powder, are calorie rich and usually are combination of carbohydrates, proteins, creatine, sugars (sometimes) and amino acid, from which mostly they are carbohydrates. So, the quality of the weight gainers is determined mostly based on the amount per service, taste, quality of the compounds and the brand. In this article we will write and review possibly the two best gainers out there – Pro Complex Gainer vs. Serious Mass. 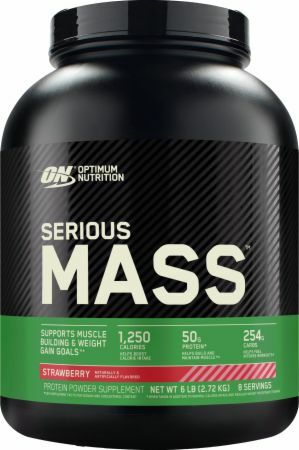 Reviewed highly by major bodybuilding websites like Bodybuilding.com, the Serious Mass gainer has quickly taken over the user’s sympathies due to the almost perfect amount of calories per serving, quality ingredients and the perfect combination of proteins and carbohydrates. 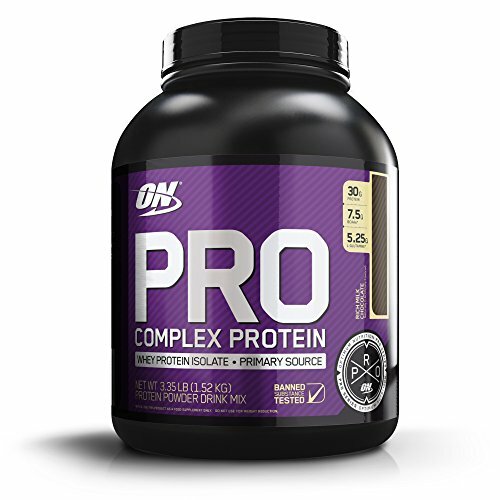 It is produced by Optimum Nutrition, a brand that is one of the very best in the supplement industry. But, Serious Mass goes above the needed ingredients and adds even more value to its customers. 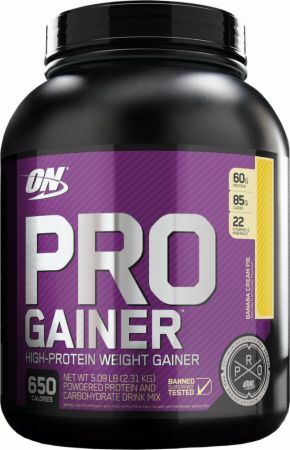 Besides gain in weight and muscle size the Pro Complex gainer also offer gaining power. This is because it also includes small portions of Creatine, Glutamine, and Glutamic Acid. On top of that there are 25 minerals and vitamins included in it. So, in one portion you will get roughly 1250 calories, 50g protein, 252g carbs and 4.5g fat. Please note that this gainer doesn’t include BCAA and instead focuses on glutamic acid and vitamin & mineral blend. Another interesting parameter that we want to present you about this mass gainer is that it combines 4 types of protein: whey concentrate, whey isolate, casein protein and egg protein. In that way it satisfies the needs for both fast digesting and slow digesting protein types. 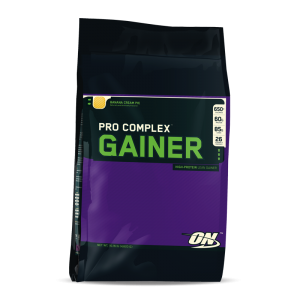 Pro Complex Gainer is one of the best gainers that you can buy at the moment. Users have been rating it highly, not only because of the incredible taste but also because it has the best combinations of proteins and carbohydrates. This protein contains less calories than the Serious Mass gainer, but that doesn’t mean it can’t achieve the same effect. This gainer is more focused on building lean mass and gaining in size in leaner way. 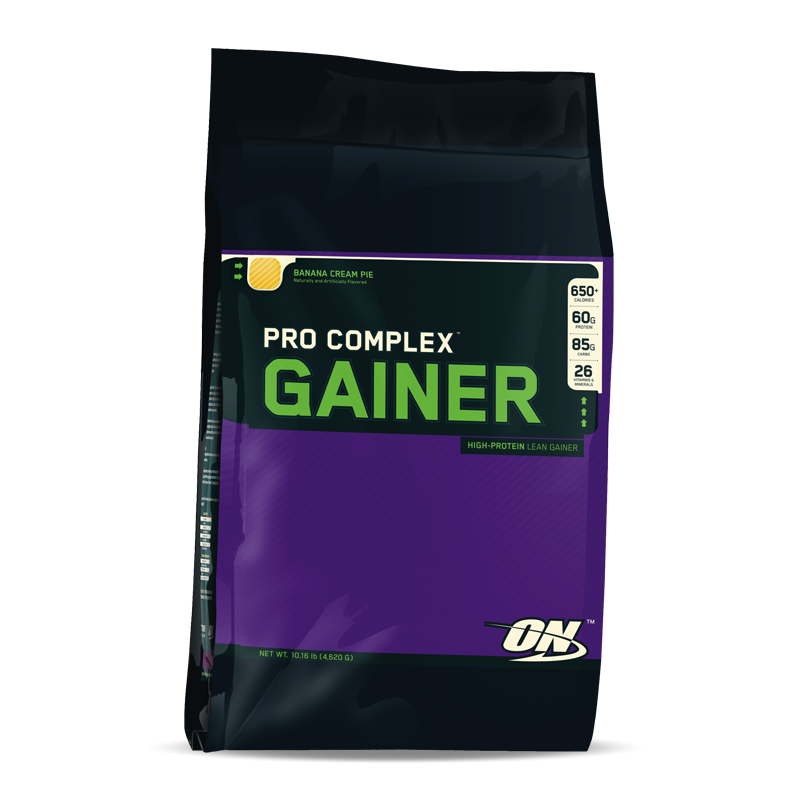 The Pro Complex Gainer is more focused on lean gain formula. 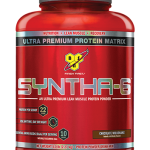 In one portion it features 60g of protein, 8g fat and only 85g of carbohydrates. It also has BCAA, glutamine & Glutamic Acid, accompanied with vitamin & mineral blend. 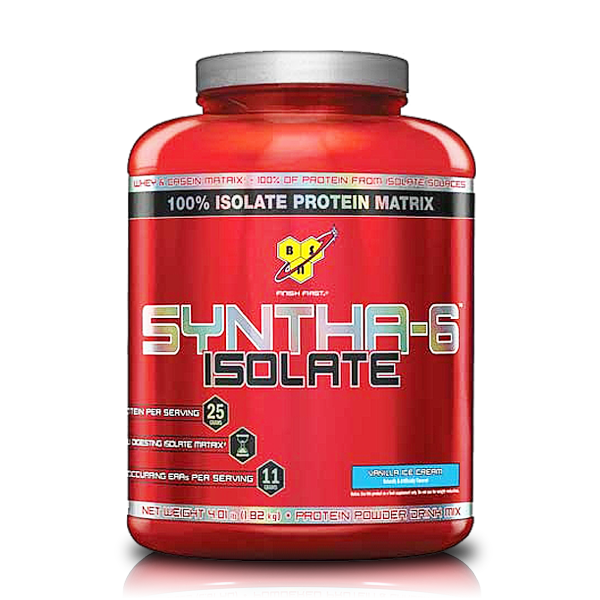 The combination of protein in this gainer is one of the best you will find at the moment. 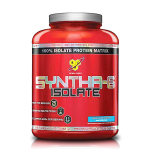 Whey isolates, whey concentrate, casein protein, egg protein and hydrolyzed whey peptides are combined to give you the best effect in achieving your muscle building goal. It doesn’t contain creatine, which means you need to take creatine additionally. But, this can’t be taken as a flaw, because this combination of nutrients has a slightly better nutrient effect. These are both great gainers. However, they are slightly different and recommended for different goals. 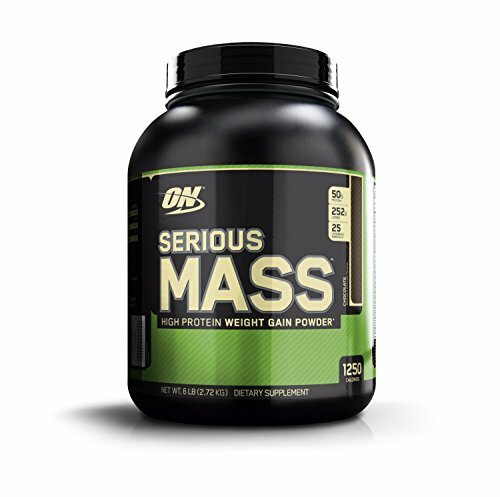 The Serious Mass is more focused on gaining weight. Thus, it is recommended to people that are skinny and want to add mass and size. Little different than that, the Pro Complex Gainer is more of a lean mass builder. It is recommended to bodybuilders that are not satisfied with the current size and want to gain size but in leanest way possible. That is why the Serious Mass gainer has 4 more carbohydrates than the Pro Complex Gainer and more than half calories per serving. 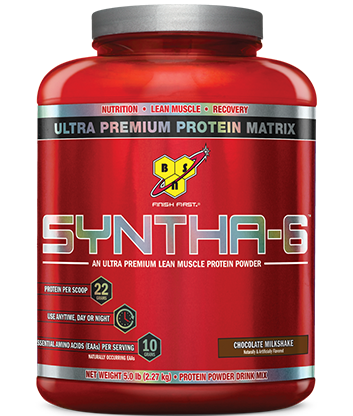 It also features creatine that speeds up the bulking and fills the muscles more with protein and carbohydrates. Opposite to that, the Pro Complex Gainer, not only that it has less carbohydrates, it features more protein and fat than the Serious Mass. Not only that, it has BCAA included which is known combination of amino acids for building leaner mass. It also doesn’t feature glutamine. In simple words, it is easy to conclude that the Serious Mass is a more powerful way to build muscle mass and gain in weight. 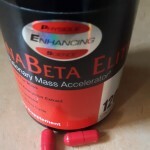 It will also have a great effect in gaining strength because it includes glutamine and creatine. However, the Pro Complex Gainer is slightly more effective and the muscles you gain will all be lean, without much fat. It also tastes better and has better nutrition compounds. That is why it is priced little higher than the Serious Mass builder. At the end of the day, you wouldn’t make a mistake choosing any of these gainers. It is up to your needs and budget to select one of them. However, there is one fact that is based on the countless user’s reviews: these two are currently one of the very best gainers in the world. 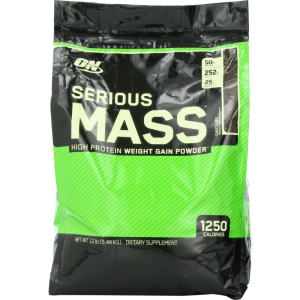 "Optimum Nutrition Serious Mass - 12 Lbs. - Vanilla "